Lemax Dickens Statue Figurine on a single base depicts a snowed statue of the great man himself, Charles Dickens, who wrote the famous Christmas Carol novel in 1843. 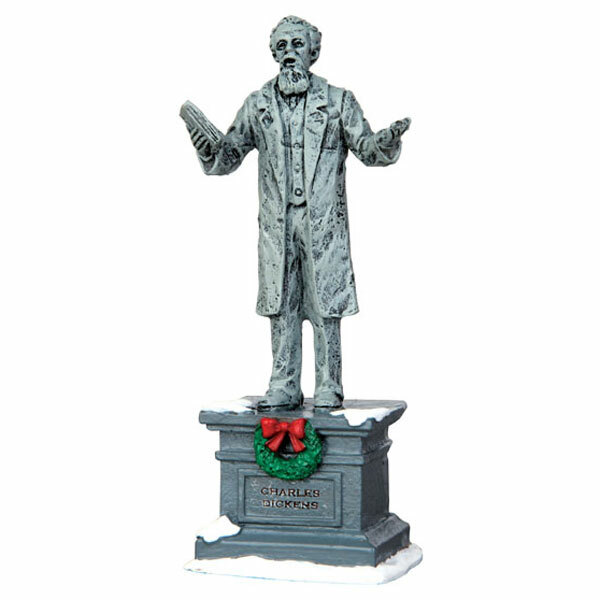 Dickens Statue is a suitable figurine for placement in and amongst a town scene in a Lemax miniatures Christmas display. A recent figurine addition to the Lemax Caddington Village catalogue, joining the collection in 2014. 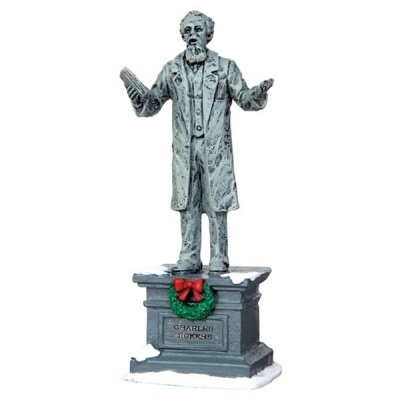 Dickens Statue is an individual hand painted polyresin figurine mounted on a single snowed street base to compliment your seasonal Lemax Village display.